Hey loves! 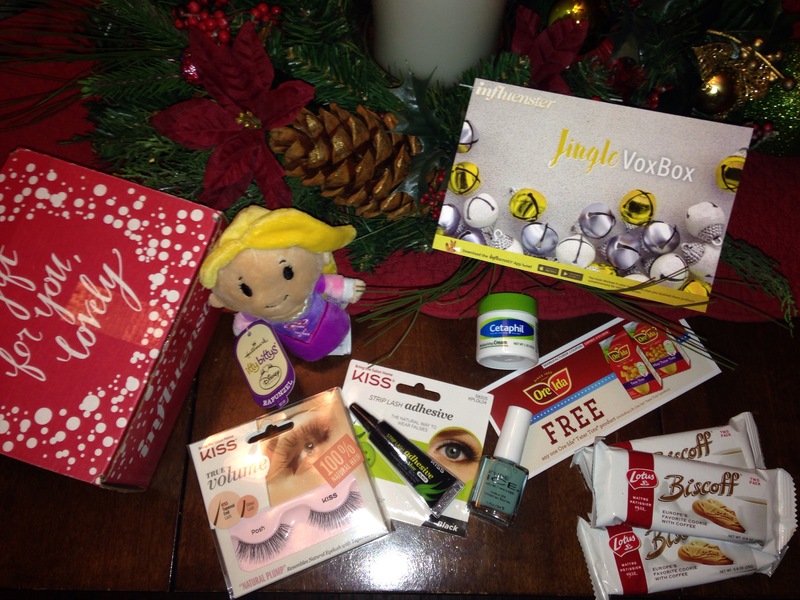 I’m finally getting around to sharing my Influenster Jingle VoxBox with you! If your asking yourself what is Influenster, they are like a Consumer Review and testing site. You create a FREE account (sign up here) and give your reviews and thoughts on any products that you have used. By doing this you receive points. When you reach the amount of points needed for each category, you unlock that categories badge. Then after the badges are unlocked, you are given surveys to ask about your product interests. Using this information, they create a “consumer profile” based on how you respond. 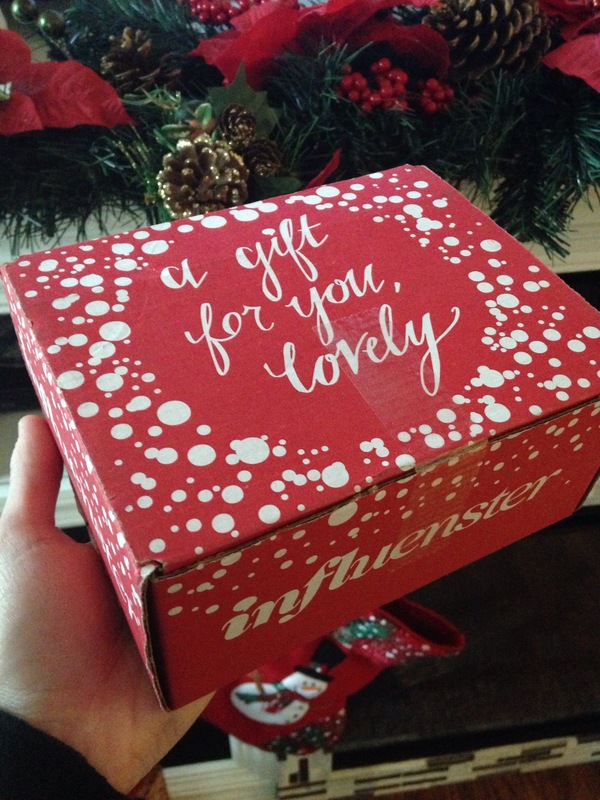 Influenster very often, create “VoxBoxes” which are filled with products to test and review, from companies, and send out to consumers who fit the profile. How I received it, straight from the mailbox. Always cute boxes. I received these items complimentary to test and review. I really enjoyed testing each of these products out. If you would love to try and review brands and be an Influenster yourself, click this link www.influenster.com/r/1023657 and sign up. Good Luck! Thanks for sharing, this sounds great! I’d love it try it out!